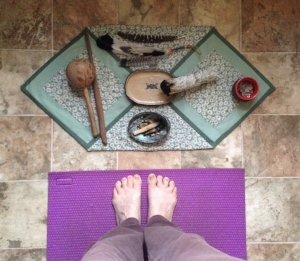 5 years ago I wrote an article titled Why I Love Yoga and Other Thoughts on Whole Food, Whole Health Healing that has been published on several Yoga, Mindfulness, Health, & Healing websites (In a professional holistic Nursing journal as well). This writing was/is my attempt to lure you into a personal practice that will transform the manner in which you exist in this world and support you making the best health and healing choices with each and every choice you need to make. Yoga plants seeds. Seeds that are possibilities for life long change. Yoga lifts you up (body, mind, and spirit) so you can soar and sway with the breezes of life, being calmly flexible. 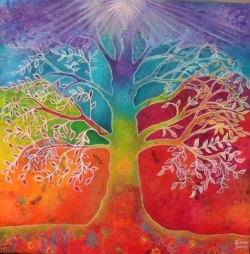 Yoga also roots you down and grounds you into your life so you can be stable and steady no matter what comes your way. Yoga has taught me, reminded me, that my human body is a sacred vessel for spirit. My body is the home of the divine essence that is me. I am a soul in a human existence not a human walking around with a soul (Wayne Dyer, one of many, kindly reminded us of this). Once we embrace our divine essence and purpose, in our human form, it becomes easier to make those healing lifestyle changes and stick to them. Your lifestyle choices can and will build your soul a home that is a castle that can weather life with grace. Your lifestyle choices can also cobble together a shack that feels unwell, daily, and falls apart easily. When we come home to this, truly embody the fact that we are divine beings within a human body, it makes the task of choosing healthy lifestyle habits the path of least resistance. Our inner conversation goes from impulsively eating, without conscious thought, those two pieces of cake sitting there just because they ARE sitting there to being about making choices that are best for body-mind-spirit. A regular Yoga practice creates new neural pathways of thinking in body, mind, heart, and spirit. These pathways create inner calm, peace, and presence in the hear & now. I have always called this Inner Conscious Connection. Mindfulness is the word we all here now. Stepping off of my Yoga Mat Magic Carpet, navigating the world in a magical way, transforms the whole world into my Yoga Mat Magic Carpet. Sending Love from My Castle to Yours. Namaste. 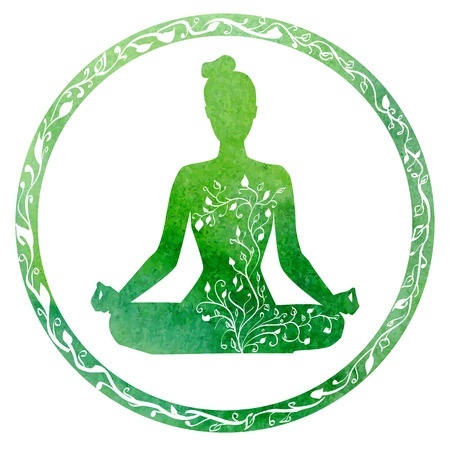 Green is the Heart Chakra... Love Your Yoga!